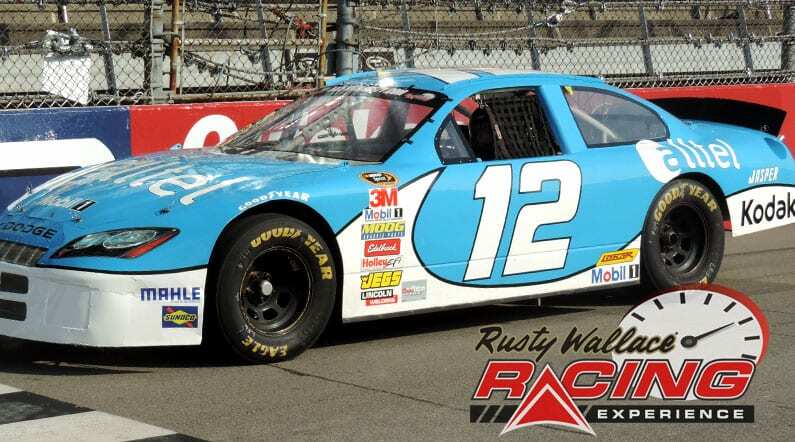 Come join us on track at Homestead/Miami Speedway because it’s your turn to experience the thrill of the Rusty Wallace Racing Experience!! Choose your Homestead / Miami Speedway Driving Experience or Ride Along Experience to begin booking. If you’re giving as a gift or are unsure about a date, you can purchase a gift voucher and you or the recipient will have 90 days to return to the website or call 855-227-8789 and book a date. Sunshine, temperatures ranging anywhere from 65 degrees to 81 degrees, diverse culture, and the legendary Miami nightlife all surround Homestead/Miami Speedway. This 1.5-mile oval with 18 to 20-degree variable banking is composed of two long straightaways with palm trees lining the backstretch, two beautiful lakes, and a winding road-course in the middle of it all. 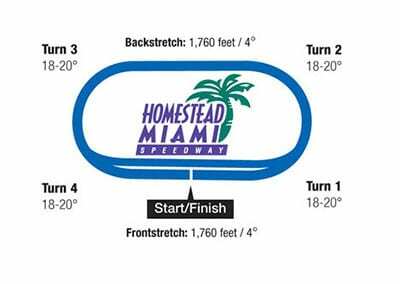 Homestead-Miami Speedway offers race fans the thrills of competitive racing in two forms: NASCAR’s three season finales (Sprint Cup, Nationwide and Camping World Truck Series) and the final point standings that decide NASCAR’s champion. We send out email promotions for individual tracks as well as nationwide. If you would to be included for future promotions, please enter your email below. You will receive any email promotions for Homestead / Miami Speedway as well as Nationwide promotions. You can opt out at anytime. If you would like to receive specific promotions for any other track, please visit that track’s page and submit your email for that track.